My son Zac was 16 when he had his first psychotic episode. Seven years later, he died of heart failure in his apartment. Of all the hellish components of my child’s life with schizophrenia, perhaps the most heart wrenching for me was that no doctors or caregivers ever knew my child before he became sick. They came to know him after he was drastically changed by illness, paranoia and the effects of medication. 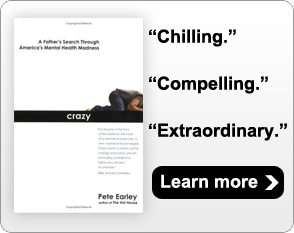 When I first learned of his diagnosis, the specter of my son becoming a lifeless, chronic schizophrenic patient haunted me. Reconciling the loss of a child is incomprehensible; reconciling the loss of a child who is still living defies description. This unique kind of sorrow may be unintentionally compounded in mental illnesses by the very people who fight alongside you, knowing very little about the person they’re saving, or what he’s lost, despite endless conversations about how he compares to his baseline self. At Zac’s wake, for the first time in seven years of his illness, I suddenly began remembering my own son. Looking through hundreds of photos for the wake, I kept seeing his broad smile and thinking, Wow! He was so handsome, and so happy. His life became so consumed with medical care, so overwhelmingly a sick life, I’d forgotten the son I knew. That’s the son I want to write about. That’s the son I wish you knew. I wish you could see Zac’s 3 month-old fat foot jutting out of the blanket as he nursed, all snuggled into me. We call his leg the Milk Meter. When he latched on, his leg went rigidly skyward, and as he drank, it relaxed and fell back into place. I wish you had known his nickname. It was Bumby, then Bum. He was only ever Bumby until he was five and then he asked to be called Zac. Call me Zac. I was the last to switch over, but as late as his wake, I had people remind me: Didn’t We always call him Bum? I wish you could talk to his three year old self. He had a baby lisp, making his speech adorably immature. He sang a made up song that went something like this: When I gwow up I’m having wots of babies because I wike ‘em. I wish you could hear him sing the Alphabet: H, I, K, K, Hello-Hello,P, with a pause after the second Hello for you to respond in kind. I wish you could pitch to him at five. He could hit 30 out of 30, a number I made up for stopping because if I’d let him, he’d have pitched and hit for hours on end. His favorite things to do then were jump on his trampoline and hunt for fossils in the creek near our home. He loved crafts. I wish you could have seen him, concentrating so hard his tongue protruded, while painting a flower pot. It was a charming habit he had. “No,” he said. Then he started crying. There was so much to remember. He had to ride a bus, and find a locker and put his supplies away and he’d forgotten to make a friend. I rubbed his back and let him cry. It was a hallmark of his personality that he didn’t like change. He loved routine, he loved safety rules, he loved seatbelts, he loved bedtime. I wish you could have seen him in his orange outfit, breaking out his moves for the first time, and realizing, it’s a big, big world, with too much to remember to do. I wish you could have met my little planner, my safety guy, my most sincere-hearted child. I wish you could have seen him at little league, running the bases after a hit with his chest puffed out, he was naturally athletic and serious about sports. When I showed up at the dugout with popcorn, he turned me away, telling me the team needed to pay attention. I wish you could go on a date with us at age 8. His sister, then 15, had her own social life and he spent his Friday nights with me, eating sushi and pizza, playing pool and renting movies. For two years we “dated,” then he broke it to me, gently: He might have bad news for me soon. He was noticing things in other families, namely that 10-year-old boys don’t go out with their moms. “No,” he said, looking at me kindly. “No, that’s not the same.” He patted my shoulder and said, “Our Friday nights are going to end soon.” I wish you could have seen my little man breaking up with me. When Zac started to like a girl at school the next year, he told me it was because she was best friend material, the kind of girl who was athletic, smart, and not a bit concerned with fashion. That threw me. Fashion? Yes, fashion and lipstick were pretty dumb. The best plan was to choose a mate now, become best friends, and live happily ever after. She did become his best friend. She drove five hours to his funeral on a single day, and five hours home. I wish you could meet the wife he chose at age 10…he chose so wisely. I wish you could see the pile of unfinished school assignments I pulled out from under the sofa. His fourth grade teacher made racial remarks and he went on a one-man boycott, shoving all homework under the couch “until she learned her lesson.” I wish you could have met my little protestor. I wish you could have seen my son with his dog, Butters. There was nothing his rescue dog could chew up or destroy that wasn’t compassionately viewed as a cry for more affection. “He got left,” he often said, defending his dog. “I wish people understood that,” looking at me. He took his Easter money and bought a neighbor boy a new pair of shoes. I wish you knew that. I wish you could listen to the voicemails he left me. He got suddenly shy and the messages would end with a request for a call back and then animal noises or robot voices. I wish you could see his face the Christmas morning he opened his first drum set. He started playing and never stopped. The only interruptions he ever had were hospitalizations. He was never far away from his piano, though because there was a Steinway in a lecture hall at Johns Hopkins Hospital. He kicked off the hospital loafers and played in his stocking feet. It was a miracle to have that piano and the community of music in the hospital. In his blunt way, he told many an accomplished player we encountered using that piano over the years, “Try some more pedal. Good job.” I wish you could hear him play, even once. He shook so badly from one medication withdrawal that I had to hold his fork and put food in his mouth. I wish you knew his bravery, how accepting he always was, to be a man of 20 and, without a word of complaint, let his mother feed him in a room full of strangers. He always wrote me sweet notes with holiday cards. The last one I received read, “I want you to know that I will love you until the very end.” I wish you could see it. I know that was true. I lost my son twice, first to mental illness, then to death. If I could have sat with the doctors for days on end, it still wouldn’t be enough time to tell them who their patient was. I would tell them every story I could remember about the son I wish they knew. I started Parents for Care as an organization to focus on advocacy. However, within the first few months it became apparent that the need I was being presented with was different, much more practical. Parents needed to keep hope, and to do that, they had to stay afloat as a family; and parents needed friendship in care, or, people who would offer practical solutions in a journey fraught with missteps and misinformation, to be the best help they could be to their family member with serious mental illness. The first need is remediated partially with a Go fund me account, where we take contributions and disperse them for financial hardship reasons to families struggling to care for a loved one with mental illness. We routinely pay the practical concerns of these families through small grants, for utilities, groceries, medicine, transportation, housing, daycare and respite care. Since it’s inception in 2014, Parents for Care has given out nearly $20,000 in grants to help families stay afloat during times of crisis. Also, we’ve developed a pretty handy medical notebook. These are distributed to psychiatric facilities to be given to parents who bring their children to psych care. The notebooks include sections for appointments, symptoms, notes, addresses, resources, and ways to partner with your loved ones doctors. We have a bedroom that is open to parents who travel to Baltimore to get Psychiatric care for their children. We offer trips to the airport and other limited transportation in Baltimore. We partner with parents to help them in any part of the journey, from appointment getting, to waiting in the ER, to accompanying them to a first appt at a Baltimore hospital. We have an annual advocacy dinner in Baltimore, that brings together families of the 10 million Americans severely affected by mental illness, many suffering terrible outcomes –jail, homelessness, chronic illness–to advocate in Washington, DC for better access to treatment and brain disease research. We know that research affects treatment, and we have hope in science for our children. Finally, we run a popular monthly support group that is accessible to anyone with a pc or phone via Skype at Laura.pogliano. It’s a place to find comfort and friendship in the difficult job that is care giving to a loved one with a brain disorder. We’ve filed our dot org, yay! We are filling gaps we know exist, and we are finding the need to be greater than anticipated. Feel free to inquire how you can help, or how we can help your family.